← Flights booked. Where Next? I remember the moment I fell in love with Arcade Fire. It was probably around the summer of 2009, I was sitting in my office with my colleague who was on DJ duty for the day. All of a sudden I heard a piece of music that gave me chills. It was the intro to ‘Tunnels (neighbourhood).’ I turned to my co-worker wide eyed and slightly panicked, ‘What is this?’ As soon as I got home that night I played the song over and over on Youtube. I then created a C.D featuring the track and put it in my car so I could listen to it from the commute to work and then home again. A few years later the album ‘Suburbs’ was released and it was because of this album my favourite ever moment in music history came about at the Grammys when Arcade Fire beat Lady Gaga, Eminem, Katy Perry and Lady Antebellum to win Record of the year. The band came out to accept the award and looked just as shocked as I felt, finally a group was recognised for their melodies rather than their popularity or commercial success. I have always wanted to see Arcade Fire live, whenever anyone asked me which act I would like to see in concert before I died I would always respond with either David Bowie or Arcade Fire. 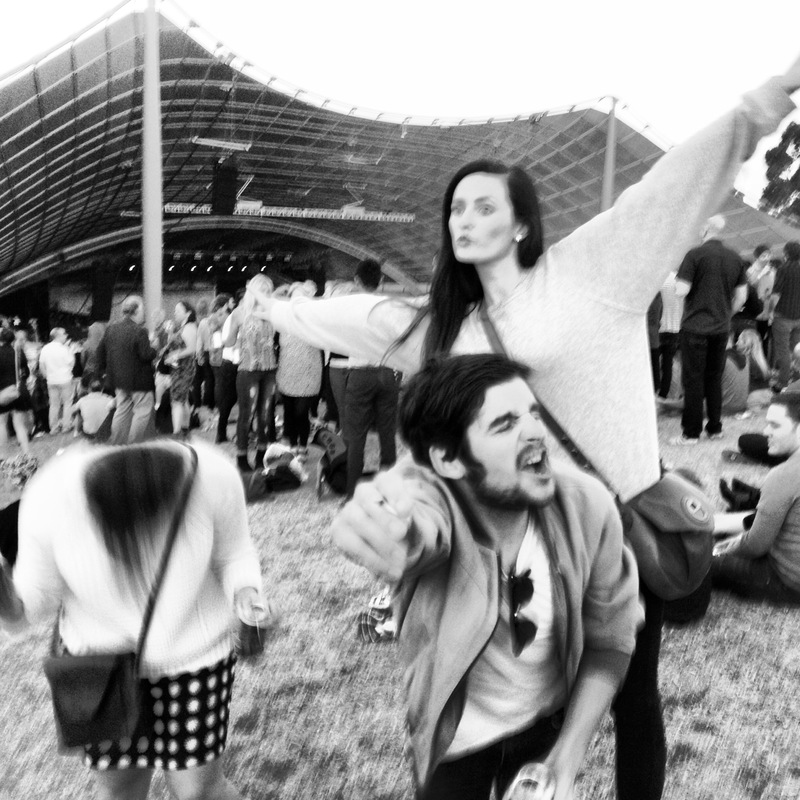 Last night I took a massive tick of the bucket list and saw Arcade Fire play at Sidney Myer Music bowl. This is the first show I have attended since living in Melbourne and it was up there with some of the best gigs I went to in London. They played so many amazing songs including ‘No cars go,’ ‘Reflecktor,’ ‘The Suburbs,’ ‘Ready to Start’ and even reduced my sister to tears when they played ‘Wake up.’ The only thing I was a little bit gutted about was the fact they didn’t play the song that started my relationship with this band ‘Tunnels (neighbourhood)’ but I am seeing them tomorrow at Big Day Out so fingers crossed for round two! This entry was posted in Uncategorized and tagged arcade fire, grammys, melbourne, reflecktor, sidney myer, suburbs, tunnels, wake up. Bookmark the permalink.